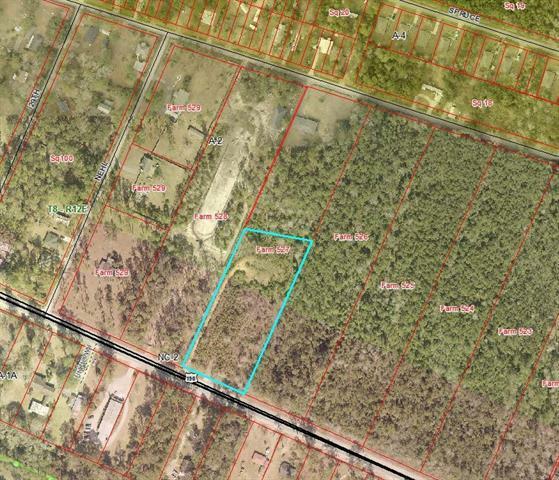 Outstanding Lacombe Commercial - 216 Ft Highway Front - 2.89 acres, including Agricultural-Residential in rear - 5 minutes from Mandeville - high traffic exposure - fill added 2014, with culvert for ready access - ready for you to build - lots of opportunity to work & live on one property - just 11 minutes to The Causeway bridge. Front Zoned NC-2, Rear Zoned A-2 (see attached zoning restrictions). Flood Zone C, per survey. Optional owner financing. Listing provided courtesy of Lovelle Blitch of Re/Max Elite.